April 02, 2018, 2:00 p.m.
Those who believe the Earth is flat vary in the exact theories, but whether they believe in science or religious literature as the basis for their claims, a new YouGov study reveals that 2% of Americans resolutely say the earth is flat. 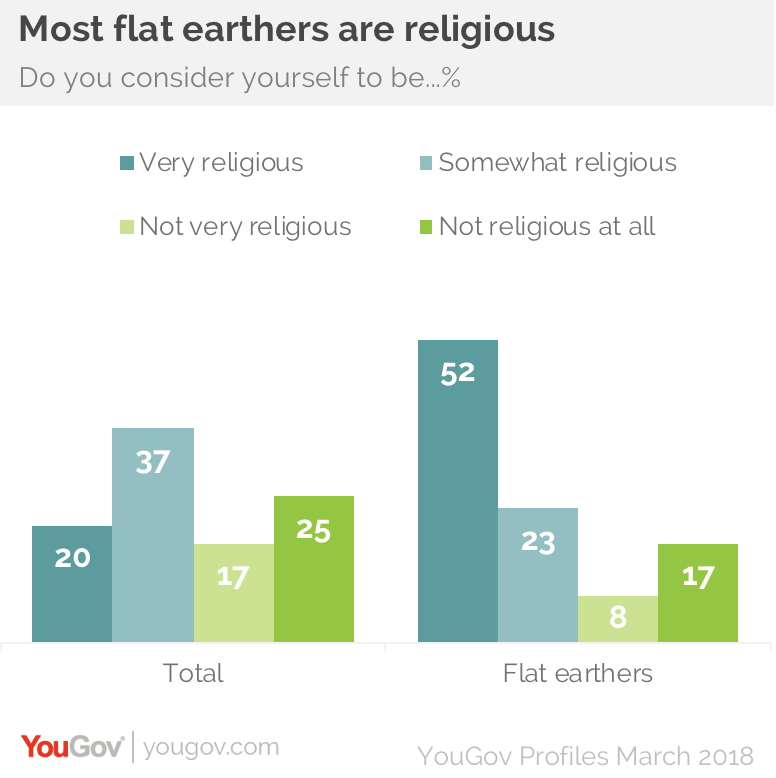 Data from YouGov Profiles suggests a link between belief in a flat earth and spirituality. For some flat earthers, evidence of the earth’s shape may be found in scripture – more than half of Flat earthers (52%) consider themselves “very religious,” compared to just a fifth of all Americans (20%).